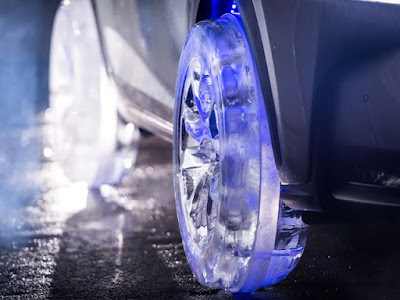 One of the Japanese premium vehicle manufacturers, Lexus has managed to create a new innovation by designing wheels that made of ice. The icy wheels with the look like the crystal, has a function like the vehicle wheels in general. It has a function like the vehicle wheels in general, the Lexus icy wheels can be used for a real car. 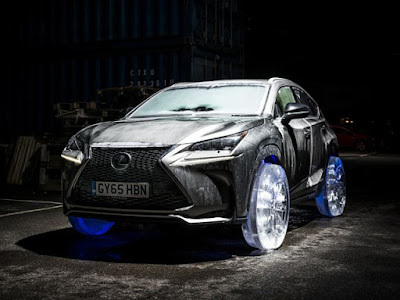 In fact, as the testing of innovative products, the icy wheels are mounted on the Lexus NX. The result is the icy wheels capable of holding the SUV's load. 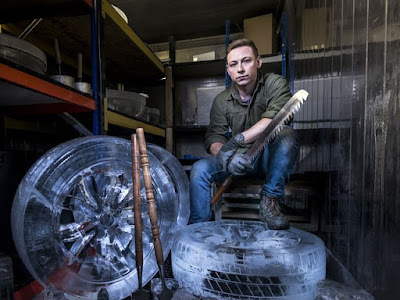 As quoted from Carbuzz, it takes approximately three months to carry out the development, both design and research of the strengths of icy wheels so it can withstand the load of the car. With openly Lexus tells the strength secret of icy wheels, by adding acrylic powders into the liquid ice before freezing.